Granite Worx is now one of the largest stone countertop providers in Alberta. With fabrication facilities in Calgary and Edmonton they are able to service the entire province. 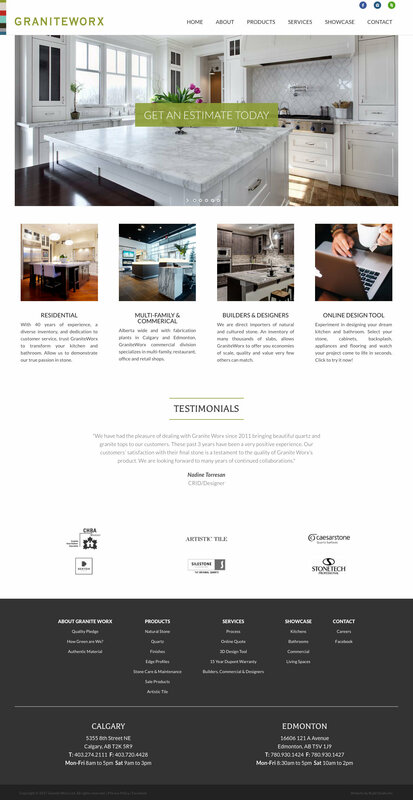 Build Studio worked with them to take their site off of a proprietary system that was difficult to update, to WordPress and to develop an inventory system that lets them display the various styles of stone surfaces they carry. We also included software that would allow customers to test their countertops online within an actual kitchen before they purchase.